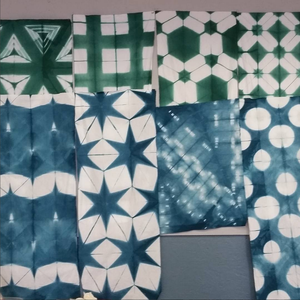 For the past few years we have been traveling to quilt shows with our own hand dyed fabric. Once we build up enough stock, some will be put up for sale online, but for now they will only be sold at the shows we travel to. 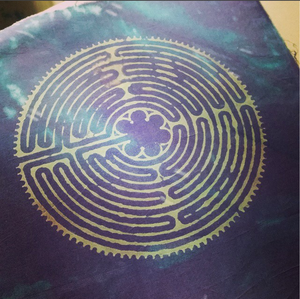 All of our own hand dyed fabric is 100% cotton, quilt shop quality. 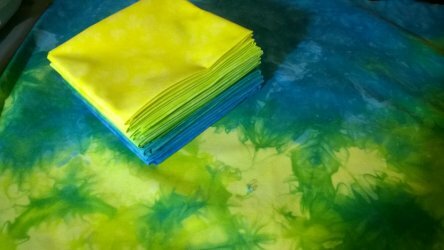 Fabric is machine washable and won't easily lose color like a lot of other hand dyed options out there. I also dye custom pieces by request. If there is anything in particular you are looking for send an email and I will see what I can do given my skill and knowledge.